You may not know what complementary metal-oxide semiconductor (CMOS) active pixel image sensors are, but chances are you use them a lot. The “camera-on-a-chip” technology makes possible everything from selfies to dental x-ray cameras. Its inventor, Eric Fossum, who received his PhD in engineering and applied sciences at Yale in 1984, has been named a co-recipient of the Queen Elizabeth Prize for Engineering. Fossum will receive the award — often referred to as the equivalent of the Nobel Prize for the field of engineering — at Buckingham Palace. The £1 million prize is awarded for groundbreaking innovations that have benefited humanity. Fossum’s co-winners, George Smith, Nobukazu Teranishi and Michael Tompsett, have also contributed to digital sensor technology. While at Yale, Fossum spent most of his time with the “Ma-Barker gang,” so named for the group’s advisers, Tso-Ping Ma, the Raymond John Wean Professor of Electrical Engineering & Applied Physics, and Richard C. Barker, now professor emeritus of electrical engineering & applied physics. Dr Eric R. Fossum is best known for the invention of the CMOS image sensor “camera-on-a-chip” used in billions of cameras, from smart phones to web cameras to pill cameras and many other applications. He is a solid-state image sensor device physicist and engineer, and his career has included academic and government research, and entrepreneurial leadership. He has been a Professor with the Thayer School of Engineering since 2010, where he teaches, performs research, and directs the School’s Ph.D. Innovation Program. He also serves as Dartmouth’s Associate Provost for Entrepreneurship and Technology Transfer. Honors include the 2017 Queen Elizabeth Prize, essentially the Nobel Prize of Engineering and the world’s largest engineering prize, induction into the National Inventors Hall of Fame, election to the National Academy of Engineering and selection as a Charter Fellow of the National Academy of Inventors. 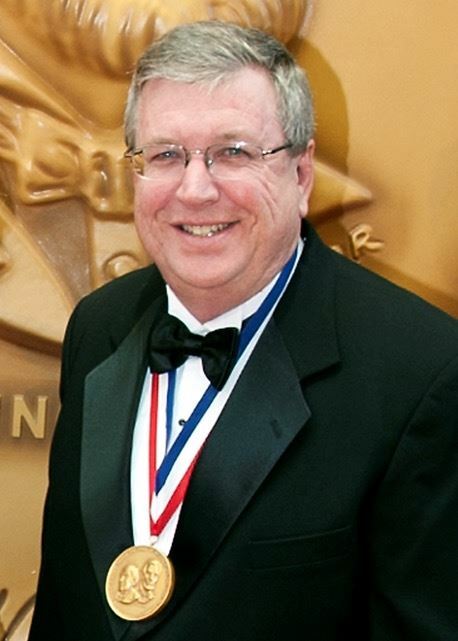 Other honors include the NASA Exceptional Achievement Medal, induction into the Space Technology Hall of Fame, the IEEE Andrew Grove Award and Medal, the Royal Photographic Society's Progress Medal, the American Photographic Society’s Progress Medal, the SMPTE Camera Origination and Imaging Medal, and Yale’s Wilbur Cross Medal. Born and raised in Connecticut, he received his B.S. in Physics and Engineering from Trinity College in Hartford and the Ph.D. in Engineering and Applied Science from Yale University, where he now serves on the Yale University School of Engineering & Applied Science Leadership Council. He was a member of Columbia University’s Electrical Engineering faculty and then joined the NASA Jet Propulsion Laboratory, California Institute of Technology. While at JPL, he invented the CMOS active pixel sensor (APS) camera-on-a-chip technology (aka CMOS image sensor) and led its development and subsequent transfer of the technology to US industry. Dr. Fossum co-founded Photobit Corporation to commercialize the technology and served in several top management roles including Chairman and CEO. Photobit was acquired by Micron Technology Inc. He was Chairman and CEO of Siimpel Corporation developing MEMS-based camera modules with autofocus and shutter functions for cell phones. He also served as a technology and strategy consultant with Samsung Electronics. At Dartmouth, he and his students formed Gigajot Technology to commercialize photon-counting image-sensor technology invented at Dartmouth.